Below are the "Motorcycle of the Year" as selected by bike riders from all over the world. The 100 best bikes each year are listed. Unlike ranking in motorcycle magazines, these lists are dynamic. Adjusted rankings are published every saturday morning (GMT) to reflect more riders' opinions and more experience with, for example, repair costs. If you disagree with a rating, please rate the bike. 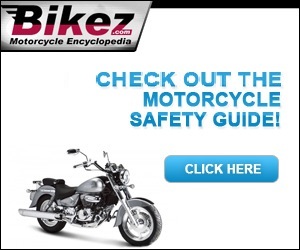 The lists are based on the ratings our visitors submit for each bike described on Bikez. If you disagree with a rating, please rate the bike. Your opinion will be part on the next ranking presented next saturday morning. The calculation of the rankings makes some minor adjustments for category to allow all motorcycle to compete equally with the given set of rating criteria. Extremely good or bad ratings are given less weight than balanced opinions.